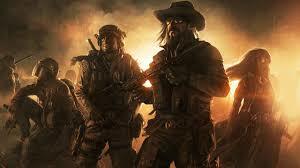 In this podcast, we discussed the Kickstarted RPG Wasteland 2. This was the end of the road for the 10HP podcast as it stands here, but now I’m ready to revive it as a solo venture and put out some new episodes. Look for that in the coming weeks, but for now… here’s the episode I never got around to publishing.